Keep Calm and Fly Fish: Glory Glory Holelujah! It's hard to believe that it's been over 10 years since the last time water flowed over Lake Berryessa's glory hole. This spectacle only happens a few times in a century so once good news got out that the hole was flowing the missus and I made the trip to check it out. The last time I curiously drove up Putah Creek to take a look at the lake the infamous glory hole was about 40ft below it. Now that the lake is filled up from all the rain we've gotten in the past few months water is finally flowing Lake Berryessa down the glory hole and into Putah Creek. Pictures and videos don't do the glory hole justice. The mesmerizing funnel of water that flows down the hole is much wider and closer to view that I had anticipated. 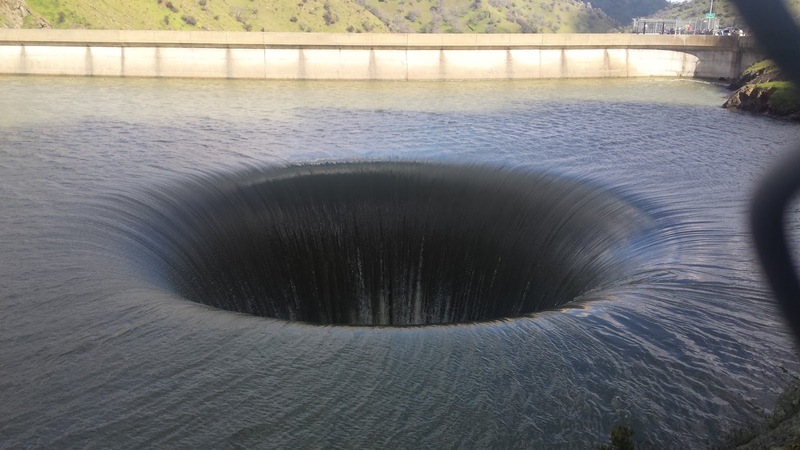 Lake Berryessa's glory hole is truly a marvel to check out if you ever have the opportunity. Just be sure to anticipate and be mindful of the large crowds along HWY 128. 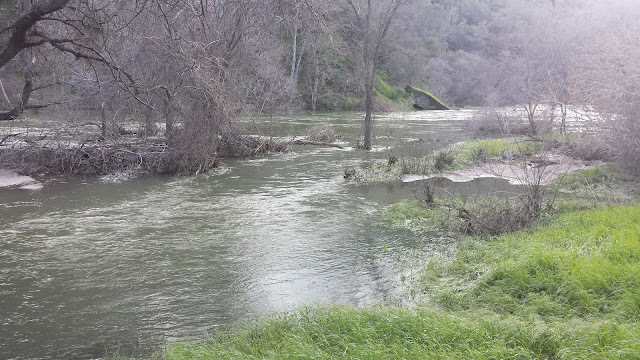 Despite flows over 4,000 CFS, I saw a few anglers trying their luck at Putah Creek. The majority of the trails along the creek are flooded so access is extremely limited until they go down. There were a few nice seams that I found while hiking around but I wouldn't risk fishing them knowing how deceptively deep the creek is. 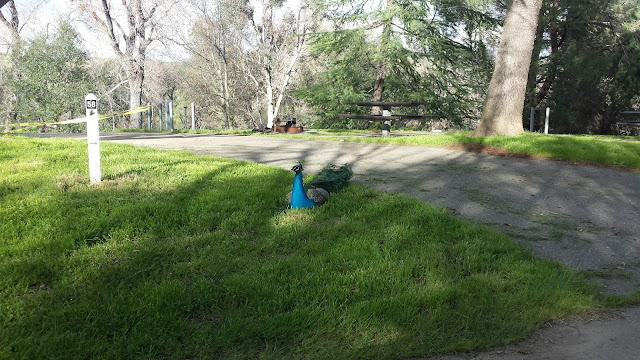 While hiking around the Cold Creek area we were lucky enough to spot a few spawners performing their mating ritual. I was very excited to see big Putah natives chasing each other up and downstream. It's been a few months since I've last fished the creek but it's good to know that these fish are doing well. It'll be a few weeks until the creek is fishable but this trip has made me appreciate Putah creek a whole lot more.